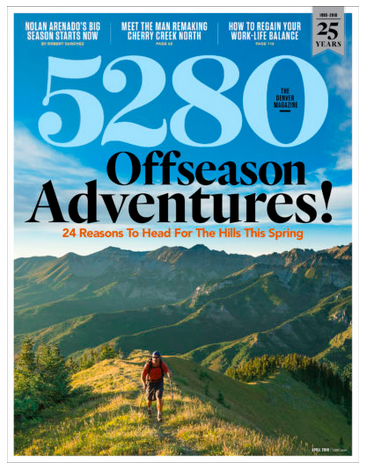 I recently got to be a part of a story in 5280 Magazine about work-life balance in Colorado. I think most of us Coloradoans like to think of ourselves as laid back, easy going folks who might work hard, but definitely take our leisure activities and relaxation pretty seriously. But turns out that this might not always be the case. Are we becoming more stressed and busy? Colorado Guilt? I’ve definitely fallen prey to that one. 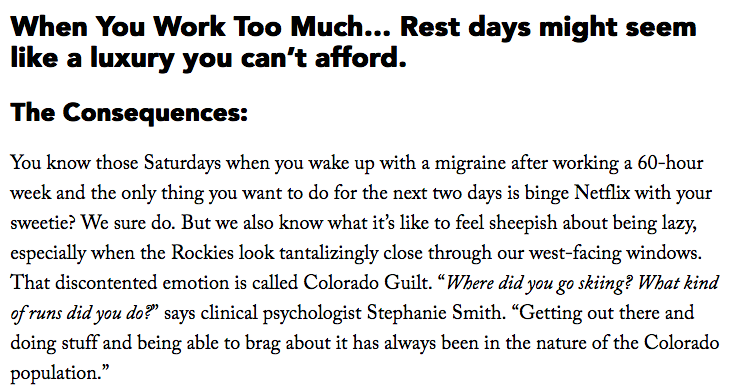 Check out the entire article to read all about stress in Colorado.